If you love tortillas, then I have good news for you. 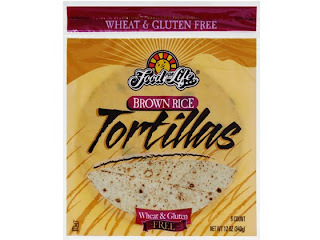 To my surprise and delight I discovered some wonderful brown rice, gluten free tortillas made by Food For Life, and I think I'm in love. The texture is crispy and amazing, straight out of the package. The flavor is very deep and almost reminiscent of sourdough, but in a new and exciting way. I used mine to make a quesadilla, something I hadn't had in quite some time. It was thoroughly enjoyable, and I definitely recommend you give these tortillas a try.